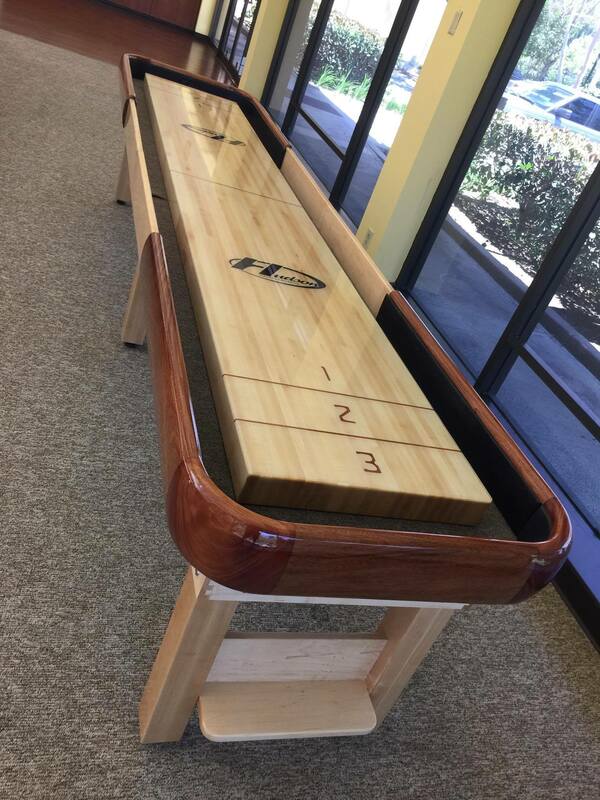 The name “Hudson” rings a bell in everyone’s mind in the shuffleboard community but what you might not know is the power, passion, and respect that comes vitally linked to the Hudson name. 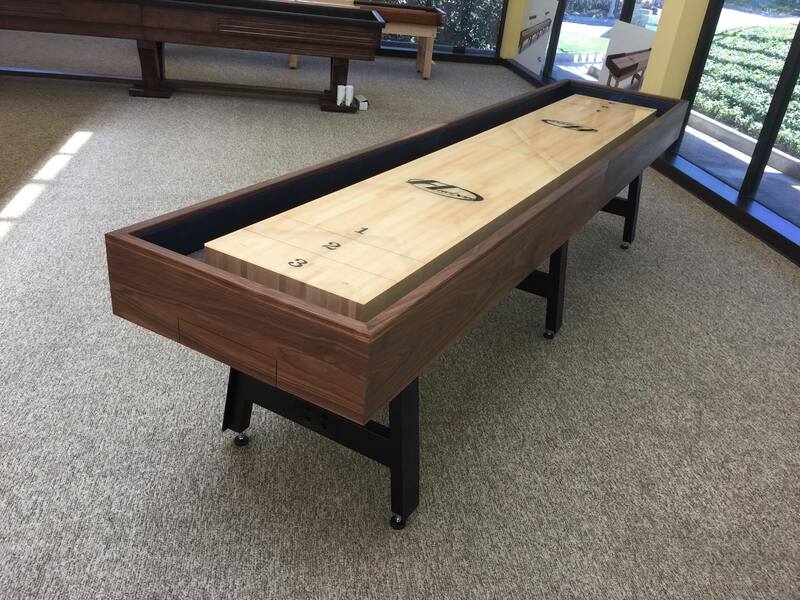 At Shuffleboard.net, we have a great history of close partnership with the makers of the high quality Hudson Shuffleboard Tables, but it was not until recently that we had come to truly and personally understand the depth and emotional connection the employees at Hudson pour into each and every one of their products. Starting at the very core of each table lie the raw materials that support the end results’ greatness. Hudson doesn’t take any shortcuts, beginning their tasks with 100% All-American domestic wood, which is then taken in by dedicated artisans, well skilled in their trade. It was mesmerizing. The focus granted to the refined details is painstakingly given; no inch was left unattended or unobserved. The words we have presented you with in the past, speaking of the perfection of their hand carved tables were proven irrevocably true; perhaps even falling short. 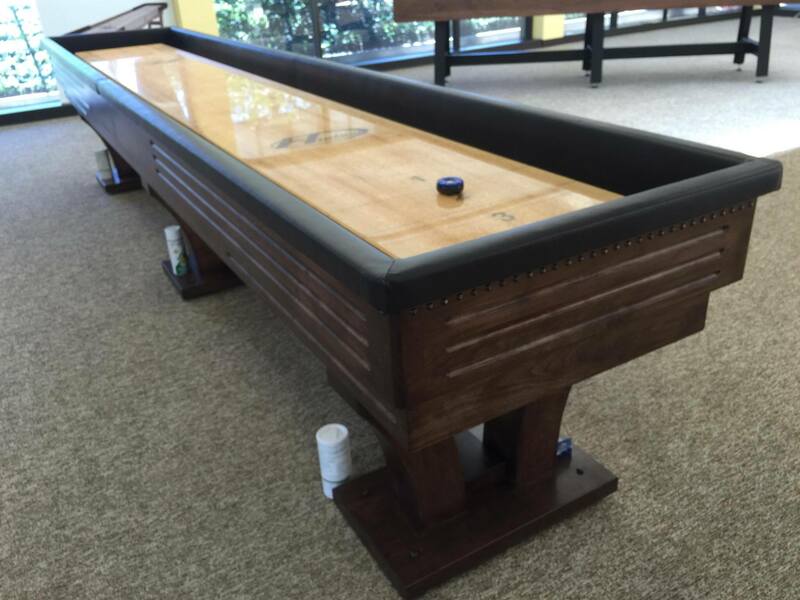 No one speaks with integrity and determination quite like the owner of Hudson Shuffleboards, Will Hudson. Not only does he work hard to appoint employees with great talent, he oversees the fashioning of each wooden creation that leaves the fold. He believes in hard work and steadfast attentiveness, giving each of his tables the tender love and care that only a master craftsman and a proud father can understand. 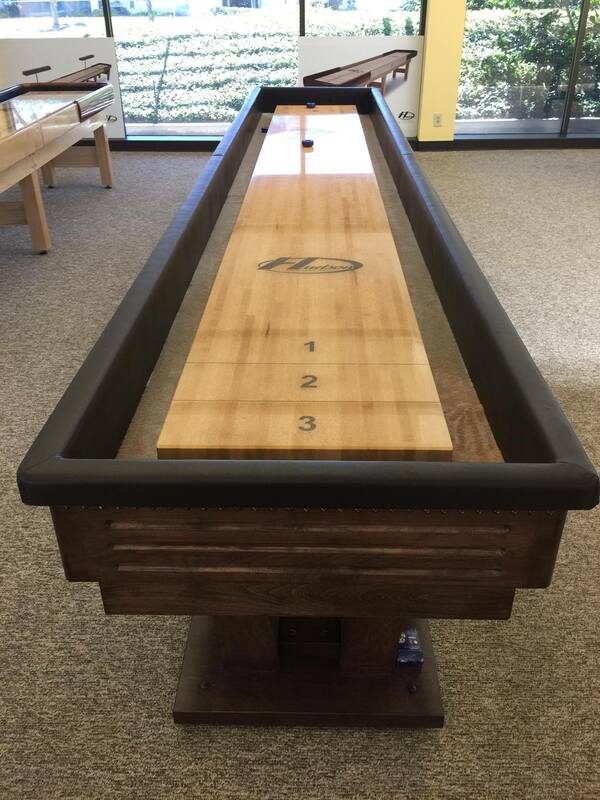 As expected, he revealed that it wasn’t easy to at first get into the rhythm of the shuffleboard production industry. 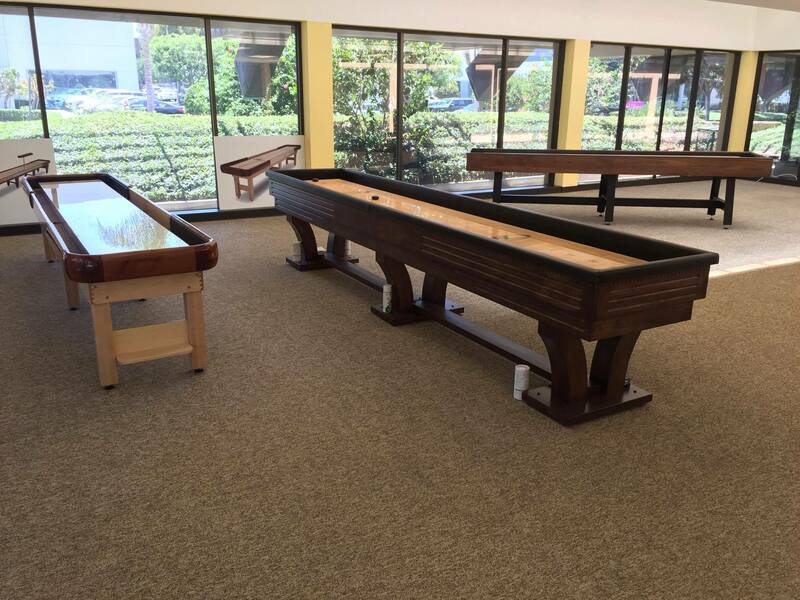 Over the years, Hudson fought hard to craft the best shuffleboard tables in the industry, each time attempting to perfect their fine art. 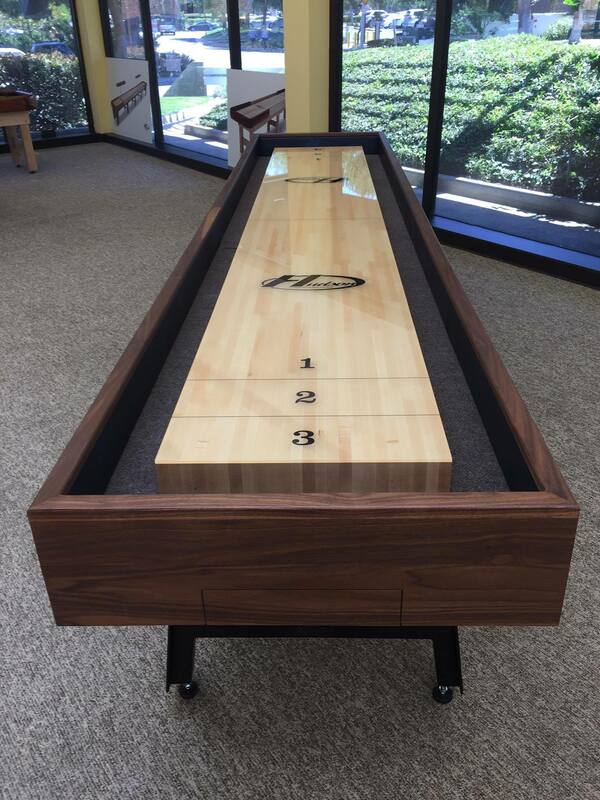 Trial and error, as well as costly experimentation eventually paid off in what has become the Hudson signature shuffleboard experience. Walking through the Woodshop, we felt the thin hum gliding through the air, produced by the most impressive state-of-the-art wood working machines we have ever seen. Not a single point falls short from the perfectionist’s checklist. The wood carving, finishing, and staining processes are performed in temperature-controlled rooms, preventing unfortunate cracks and breaks. Their meticulous production includes a wood curing process, unique to Hudson, that ensures future players’ satisfaction. The best of tables comes from hard work as well as team work. As we made our way through the tour, togetherness clung to each member, all wearing their custom Hudson shirts. The unity we saw was as inspiring as their determination to make each table better than the last. 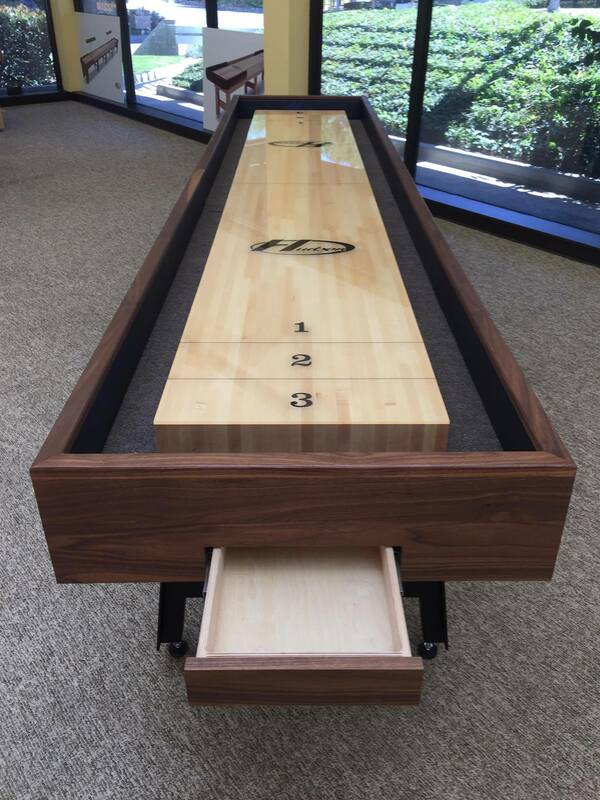 These shuffleboards are truly unique, each carrying a part of those who crafted it. The entire process, start to finish, takes 4 weeks to complete. Given their outstanding products, this seems like an impossible feat, but the Hudson magic keeps their hands moving fast and forward to the final masterpieces. 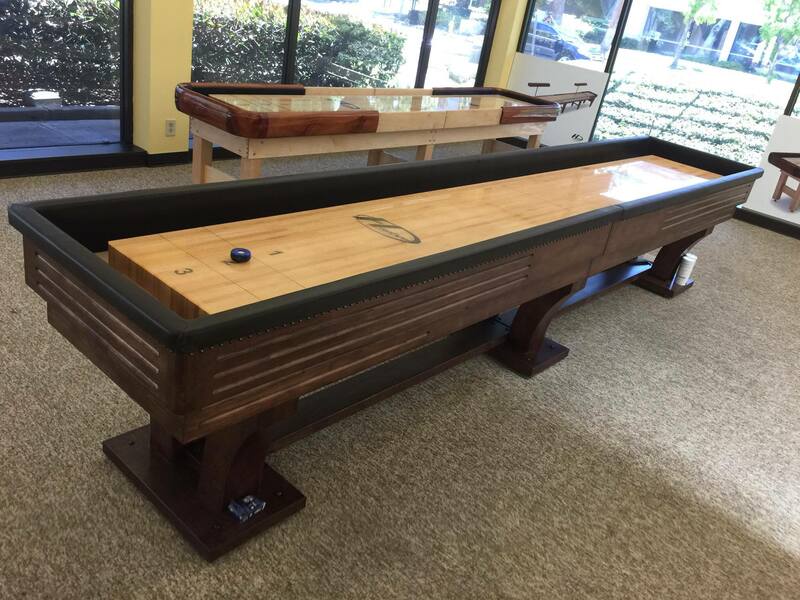 The care and craft poured into each table is evident in some of their most popular models like the Grand Hudson Deluxe, the Dominator, and the Ponderosa. 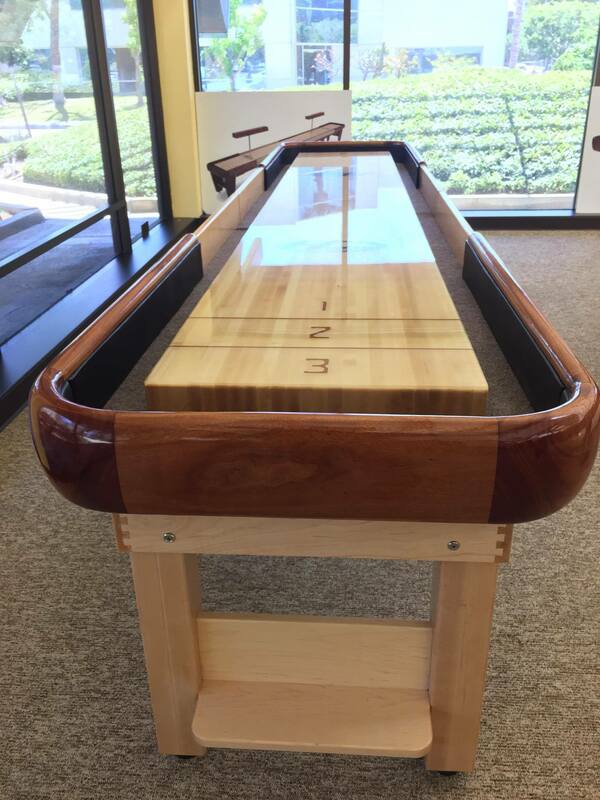 Even before the tour, we were proud to work with Hudson as their largest licensed retailer in the nation, but now we’re more confident than ever to offer you their shuffleboards. Our visit taught us the true meaning of the creed in the Hudson Quality Guarantee. 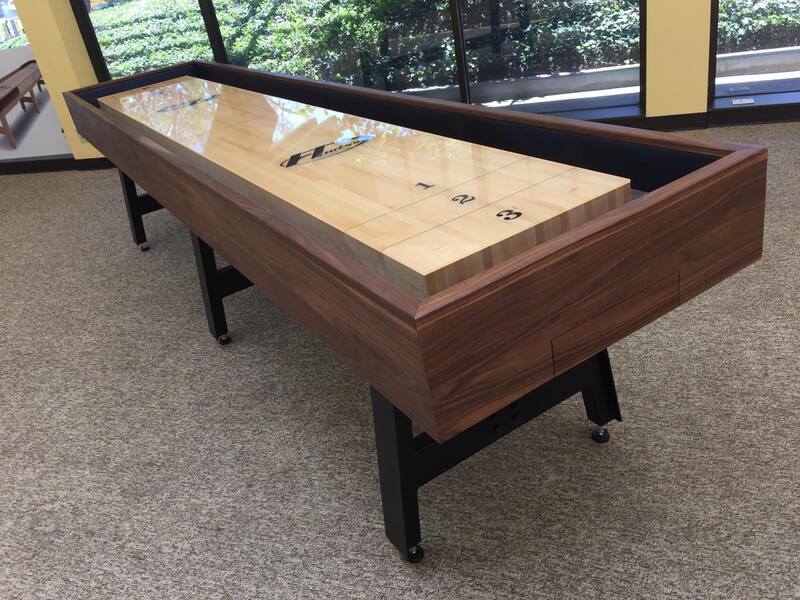 To learn more about purchasing an authentic Hudson Shuffleboard Table, visit our website or contact us to speak with one of our table shuffleboard experts. 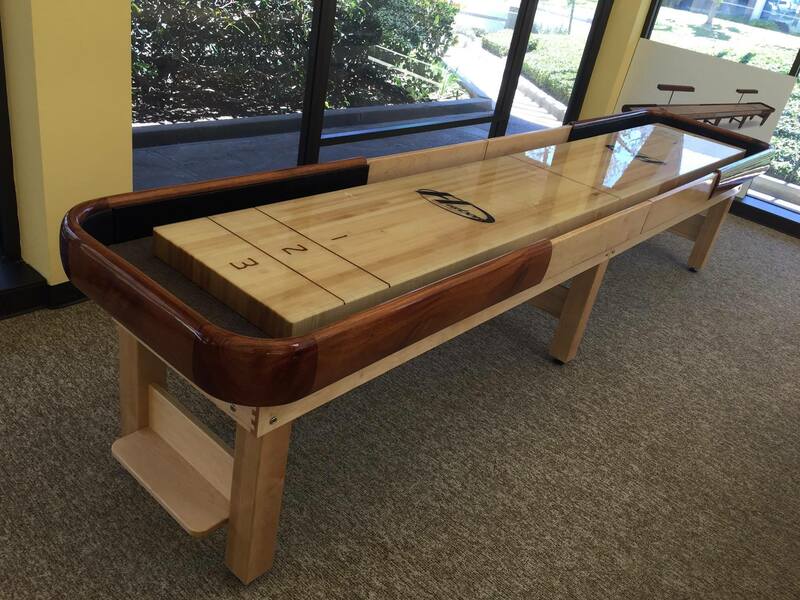 This entry was posted in Hudson Shuffleboard by admin. Bookmark the permalink.